Campbell Transportation Company's towboat the M.K. 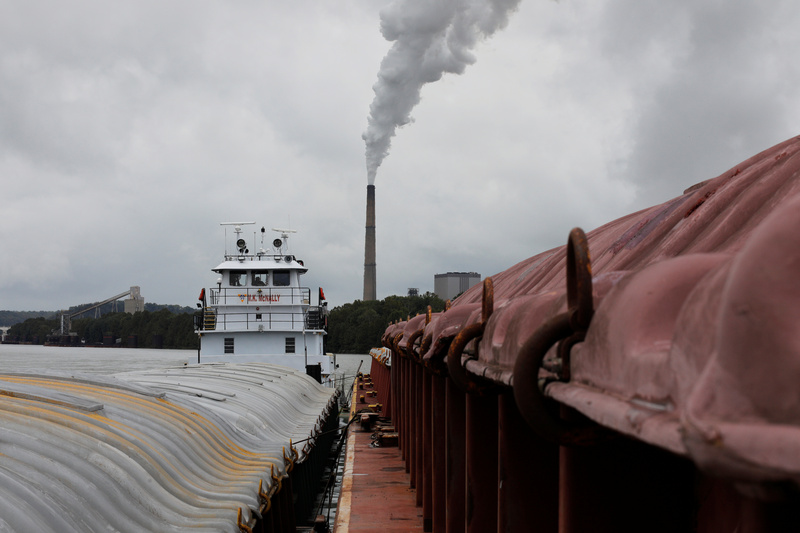 McNally pushes barges past the East Bend Generating Station, a coal-fired power plant owned and operated by Duke Energy, along the Ohio River in Union, Kentucky, U.S., September 14, 2017. Photograph taken at N38°53.904' W84°51.185'. Photograph taken September 14, 2017. Duke Energy published a climate report on March 22 outlining its plans to change its fuel mix to sharply reduce carbon emissions. The company plans to reduce the share of coal-powered generation by half, to 16 percent of its power output, by 2030. Solar, wind and hydropower, along with natural gas, will make up most of the difference. It also provided a risk analysis of policies aimed at limiting the rise in global temperatures to 2 degrees Celsius. Under that scenario, Duke would phase out coal completely by 2050, reducing the company’s carbon emissions to nearly three-quarters below 2005 levels. On March 7, Exxon Mobil gave an “Energy and Carbon” presentation during its analyst day in New York, outlining what it called the “dual challenge” – meeting increasing energy demand while trying to decrease emissions. The presentation predicted that carbon intensity of the global economy would fall by 40 percent by 2040 but overall emissions would increase by 10 percent.